This is Du-Bro's 8mm x 1 Aluminum Spinner Prop Nut. 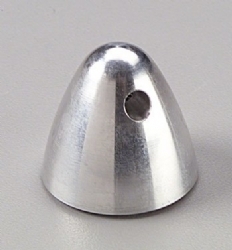 FEATURES: Plain silver aluminum spinner. CNC machined from 6061 T6 aluminum. Works with standard electric starting cones.